To deliver comprehensive audio solutions, we combine advanced digital technologies, world-leading analogue microphone expertise, wireless audio transmission technologies, and an enviable reputation for stability. By incorporating the very latest digital technologies, the DWX is set to revolutionise live stage performances – in much the same way as the music recording industry changed when Sony applied advanced digital technologies to recorders, mixing consoles, and signal processing equipment. The DWX ensures superb sound quality, convenient multi-channel operation, and innovative workflow without compromise. A high-profile format for the digital audio interface on UHF – WiDIF-HP – has been developed for the DWX. WiDIF-HP transmits high-quality 24-bit/48-kHz sampling digital audio signals in real time, with a wide dynamic range of more than 106 dB, a wide frequency response of 20 Hz to 22 kHz, and a low system latency of 3.4 ms*. Additionally, there is no compander, a device commonly used in conventional analogue wireless systems which can degrade audio performance. *When DWM-01 and DWR-R01 are used in combination. WiDIF-HP enables large-scale multi-channel operation. 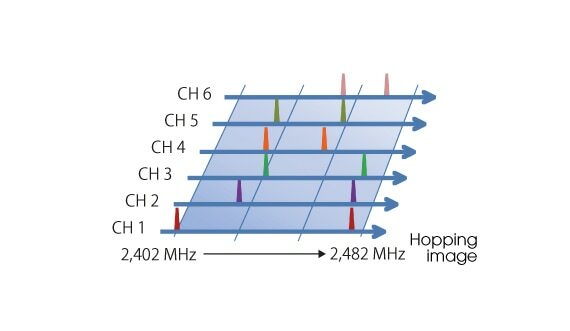 Thanks to a digital modulator, WiDIF-HP achieves inter-modulation-free, equally spaced channel allocation, which enables a significant increase in the number of simultaneous digital wireless systems in comparison with current analogue wireless systems. For example, up to 12 channels of simultaneous operation are supported using a 6-MHz bandwidth TV channel in the USA. WiDIF-HP supports approximately 50% more systems simultaneously than current analogue wireless systems. This format allows the use of existing WL-800 Series analogue wireless channel plans. In this configuration, the DWX reliably operates along with WL-800 Series analogue wireless systems, with no risk of analogue or digital wireless system interference. WiDIF-HP allows highly stable wireless transmission without audio degradation transmission that is both secure and extremely tolerant to interference waves. Cross Remote allows up to 82 transmitters to be managed centrally by establishing a remote network system. The Cross Remote function of the DWX is one of the most distinctive features made possible by digital transmission technology. It allows monitoring of the transmitter’s status (such as the remaining battery capacity, RF level, and transmitter name) and control of its parameters (such as power on/sleep, attenuator level, low-cut filter frequency, and RF power output level) from a remote receiver. This is achieved by combining metadata on the WiDIF-HP and 2.4-GHz IEEE802.15.4 communication technology. 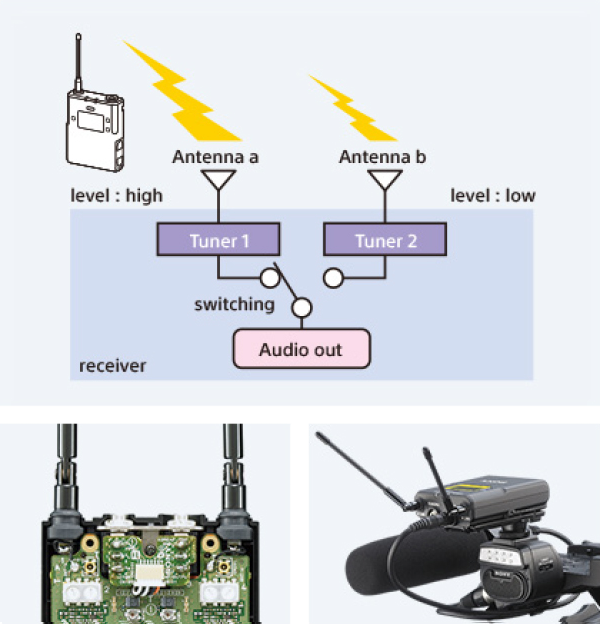 Audio RF signals of digital and analogue wireless microphone systems are unaffected by 2.4-GHz communication. These remote monitoring and control capabilities are ideal for large-scale multi-channel system management, while effectively lowering power consumption. High-quality 24-bit linear PCM digital transmission offers pristine audio and a wide frequency range from 10 Hz to 22 kHz. 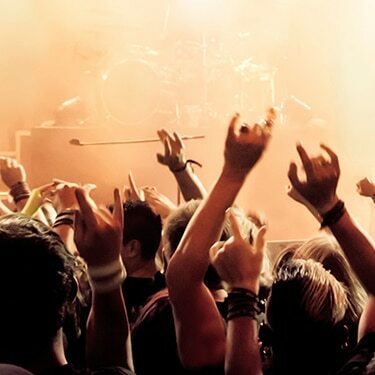 With these high-quality digital packages, you can experience professional music performances from vocalists, guitarists, bassists, and wind instrument players. Audio performance degradation that’s typical of conventional analogue wireless systems is avoided, as these packages are designed without the need for a compander. The DWZ Series provides two selectable RF modes; simply choose the one that makes best use of your actual 2.4 GHz RF environment. This mode reduces interference to other wireless equipment used in the same environment, such as Wi-Fi. There’s no need for advanced technical knowledge about radio frequency. Wide band hopping mode also supports additional error correction for more secure transmission*. This mode helps to avoid interference from other device. For example, 2.4 GHz wireless remote controllers that are commonly used for lighting control. This enables frequencies to be coordinated when using multiple wireless systems simultaneously*. 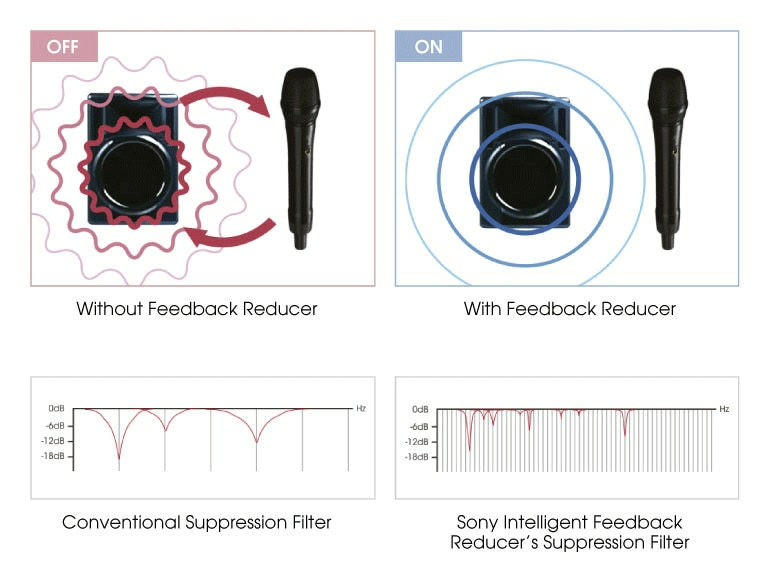 The intelligent feedback reducer* can suppress unwanted feedback (howling) with high-performance DSP and Sony’s unique algorithms designed to eliminate feedback before it becomes unbearable. Also, the equivalent of maximum 1024-band suppression filters are continuously tuned automatically in real time, eliminating feedback and avoiding deteriorating the original signal. This delivers the highest quality sound enjoyed by presenters, vocalists, and audiences. You can freely select the audio outputs to which you want this feedback reduction filter to apply – for example, you can output original audio to the main PA system, while processed audio is delivered to your monitor speakers. *This is a function of the ZRX-HR70. Sound quality is the most important issue in wireless transmission. Conventional analogue systems make use of companders to provide the required dynamic range. However, while compander systems have improved over time, their inherent problems with sound quality and transient response performance have yet to be completely solved. Sony’s newly developed digital audio processing, which uses DSP (digital signal processing) for digital companding, realises high sound quality. DSP optimises a time-constant range between the transmitter and receiver. It provides superb transient response performance. While analogue companding systems cannot reproduce sounds such as a bell or tee shot with precision, digital audio processing can reproduce them very accurately. DSP also can correct characteristics of frequency response in the transmission process for precise reproduction of original sounds. 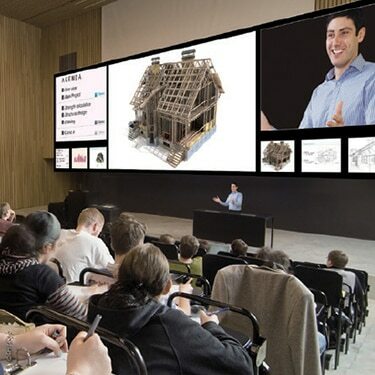 Typically, wireless microphone transmission systems are subject to interruptions in reception (RF signal dropout), but the UWP-D Series reduces this to a minimum. Using a true diversity reception system, it achieves highly stable reception because of its two receiving antennas, each with RF circuits. 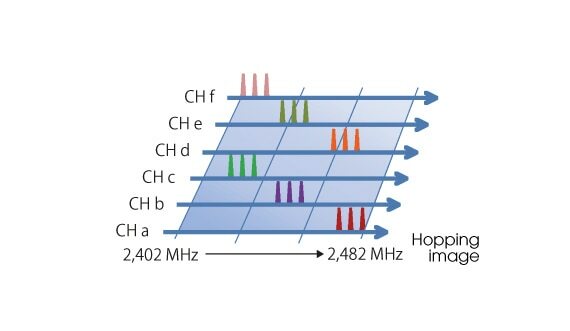 RF signals from the two antennas are compared and the stronger signal is automatically selected for output. The angle of the antennas on the portable receiver can also be adjusted, which helps to further eliminate signal dropout. 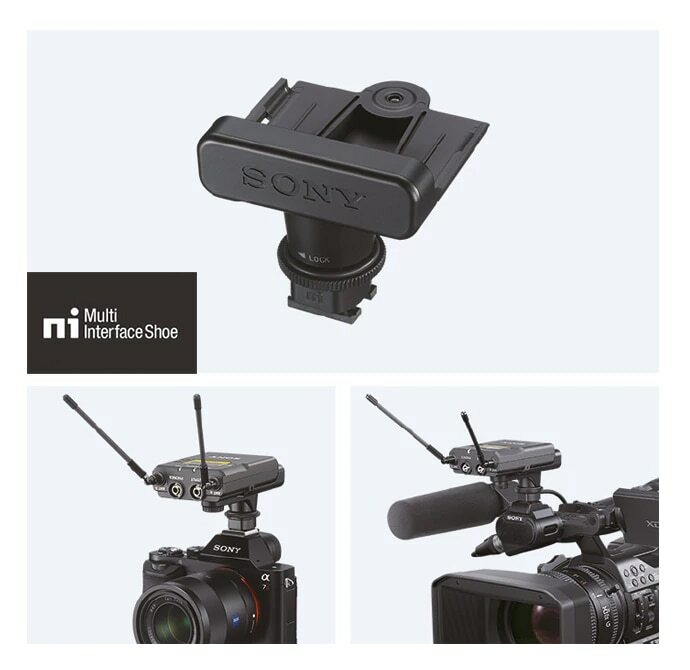 The wireless receiver of the UWP-D Series can be attached to camcorders or interchangeable-lens cameras that have an MI (Multi-Interface) shoe using the MI shoe adaptor. This eliminates the need for connecting cables. By using the MI shoe adaptor, audio signals can be transmitted from the wireless receiver to a camera. In addition, the wireless receiver can get power from the camera, and the camera can control power ON/OFF, unifying power management. *For compatibility information, please refer to product specifications.